REO insurance, also known as real estate owned insurance, protects lenders who are responsible for managing a number of properties. It is in the best interest of lenders to be fully insured, thus protected, with a real estate owned coverage plan to ultimately avoid liability, which can cripple a small business, especially in turbulent real estate times. Real estate owned insurance by its very nature is designed to provide lenders with a full risk prevention type plan. 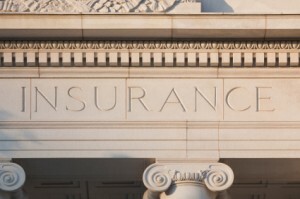 Comprehensive insurance plans can shield against physical damages that commercial and residential properties can incur. Real estate protected under REO coverage plans can include foreclosures and properties solely owned by lenders, as well as those real property structures in the foreclosure process. Catastrophes such as earthquakes and flooding can both be secured and covered under a real estate owned insurance policy. Further, both general and business liabilities can be included in a formal policy for lenders. A Buyers Utopia Insurance Team REO advisor can help structure the right program for lenders. A company representative can ensure you attain the necessary comprehensive coverage you need to protect the real property in your portfolio. As a lender, with real estate owned coverage, you can stay in control of your insurance. The flexibility given to you to decide which type of coverage is right for you, and the depths and extensiveness of limits, keeps you in the driver’s seat — as it should be. Our knowledgeable REO advisors can make suggestions and guide you in the right direction to ensure your choices are the best ones for your assets. Overall, a real estate insurance plan through Buyers Utopia Insurance provides you, the lender, with the unique ability to control your policy and ultimately control your costs in a way that is beneficial to your company and your real estate portfolio. Contact a Buyers Utopia Insurance Network Team REO advisor today to discuss builders risk insurance, vacant property coverage, assistance with a commercial real estate plan, rental property insurance, residential coverage and/or equipment coverage. We look forward to assisting you with your REO insurance needs.